We are a company of scientists, engineers, environmentalists and community leaders in Idaho. We are driven by our belief that we can build a mining project that restores the environment, creates economic opportunity and benefits the surrounding community. These values drive us in everything we do. They are what make us a modern mining company. Idaho is our home. Take a look at what we’re doing in the community and you’ll understand our commitment to grow the state’s economy and take care of the environment runs deep. Our company is headquartered in Donnelly, Idaho. We also have offices in Boise, Stibnite and Vancouver, Canada. Midas Gold Corp is our publicly listed company that trades on the Toronto Stock Exchange. Visit our corporate website: Midas Gold Corp.
We are committed to leaving the environment better than we found it. For the Stibnite Gold Project this means cleaning up 100 years of negative environmental impacts and ensuring our mining plans prioritize reclamation. We always look to Idaho first. We hire locally and buy locally. We have spent nearly $100 million in Idaho since 2009. Our best advisors are members of the community. Planning together and gathering feedback from public meetings and our local advisory group has made our Stibnite Gold Project better. We welcome and actively seek your input. We are serious about safety. It starts with making sure every employee has the right training, the necessary resources and is held to the highest standards. We don't just talk about safety – it is how we do business. Our Midas Gold Idaho, Inc. Board of Directors represents a cross section of perspectives and experiences in Idaho. Their role is to lead the Stibnite Gold Project in a manner that reflects the values and needs of Valley County and Idaho. Don has a very personal connection to Stibnite. Soon after he was born, his mother brought him to join the rest of his family in the vibrant mining town where he spent his childhood in the 1930s and 1940s. 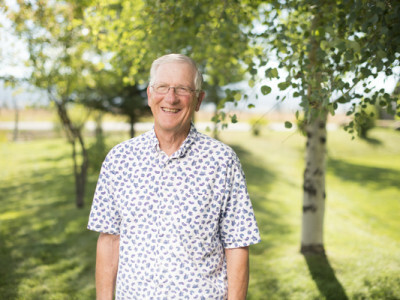 After serving on the McCall City Council, including two terms as Mayor, Don is ready to help restore Stibnite to its former glory – bringing in hundreds of jobs for Idahoans in the process and providing the funding needed to fix the environmental legacies of previous mining generations. Laurel is a uniting force. No matter what the issue, she can get the right players at the table to have the discussions that lead to change. 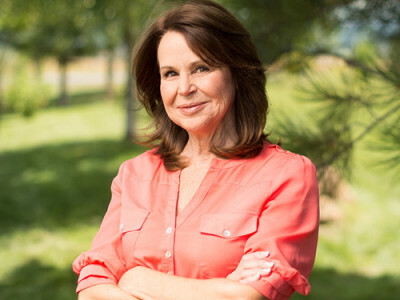 Laurel has been a lifelong advocate for conservation and spent more than two decades working on natural resource issues with Congressman Mike Simpson and Senator Mike Crapo. Laurel loves being outside but particularly enjoys camping in the Boulder White Clouds, mountain biking with her husband or floating one of Idaho’s many rivers. Bob is driven by the motto “do it right.” When Bob saw the opportunity to develop a project with economic and environmental potential he came out of retirement to help gather and lead the team that could do it right. In guiding Midas Gold, Bob sees the big picture. He has brought projects from exploration to mining and all the way through to reclamation and Bob will use this experience to bring the Stibnite Gold Project to life. Anne believes the best plans are built through collaboration. Whether a project is creating maps as a geologist exploring the high arctic of Canada or developing sustainability practices in the remote mountains of Idaho, Anne always starts by listening. When she’s not traveling the state gathering input on Midas Gold’s project, Anne is tending to her organic garden, riding her bicycle on the greenbelt or riding her motorcycle along winding mountain roads. Ken has no shortage of mining experience. Throughout his career, he helped design, construct and operate several world-class mining projects throughout the United States and around the globe. Ken’s technical expertise and passion for protecting Idaho’s wilderness are helping Midas Gold design a project that values the environment, economics and people. Ken gets outside to hunt, fish and hike as often as possible. Scotty knows business and understands the benefit Midas Gold can have in the community. As a founding member of the Valley County Economic Development Council and a leader with the Cascade and McCall Chambers of Commerce, Scotty wants to see the Valley County economy, job market and community continue to thrive. Scotty owns several retail stores and businesses in Valley County. He is passionate about renewable energy and is dedicated to connecting communities to geothermal energy. Frank is a native Idahoan who cares deeply about protecting his home state for future generations. He is the founder of Historic Roseberry Museum and is widely known for restoring buildings and supporting environmental causes. Serving on the Midas Gold Board fits perfectly with Frank’s philosophy of taking care of the environment. 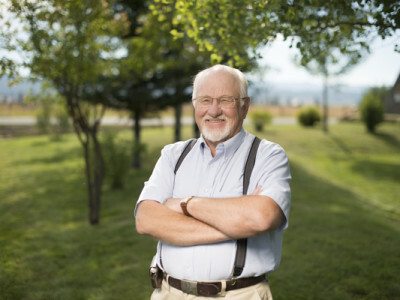 Frank served two terms as a Valley County Commissioner and was also on the McCall-Donnelly School Board and represented Valley County on the Central District Health Board. 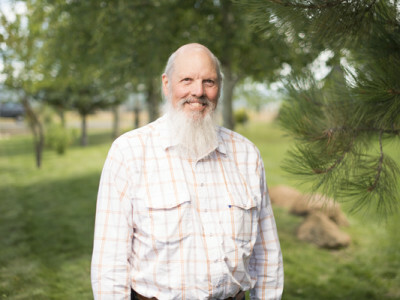 He currently serves on the board of Preservation Idaho. Ronn was born and raised on a livestock ranch in Wyoming. 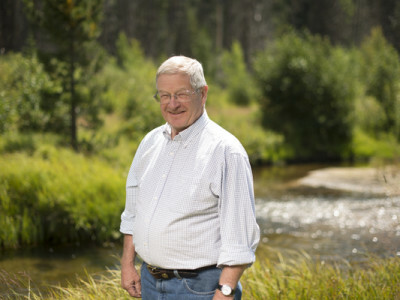 After receiving both a Bachelor’s and a Master’s Degree in Range Science from the University of Wyoming, he spent several years at Kemmerer Coal Company before going on to spend more than three decades with the U. S. Forest Service. He worked in the Shoshone National Forest, Nebraska National Forest and was the District Ranger in the Boise National Forest. Ronn's knowledge of local and regional issues in Idaho, along with the regulatory requirements, add an important dimension to Midas Gold’s work in Idaho. April doesn’t sit on the sidelines. You can find her out on the slopes skiing, hiking in Idaho’s backcountry, working in her garden or spending time with her husband and daughter. When April learned about the Stibnite Gold Project, she realized this was a once-in-a-lifetime opportunity for a mining company to restore an area in need of repair and decided she needed to get involved. 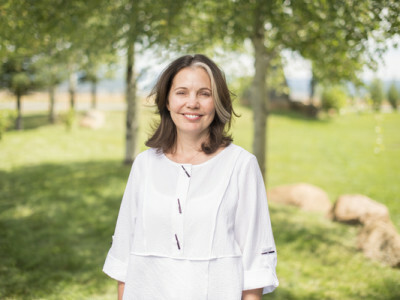 As a board member, she wants to make sure the voices of the community are heard and that people have the information they need about Midas Gold Idaho’s future plans. April lives in McCall and works as the communications director for Brundage Mountain Resort. As an Idaho native and avid fisherman, Andrew cares deeply about protecting Idaho’s waterways and restoring previously disturbed lands. He joined the Midas Gold Idaho Board because he would like to see native fish populations able to migrate back to their spawning grounds on the East Fork of the South Fork of the Salmon River and believes Midas can make it happen. 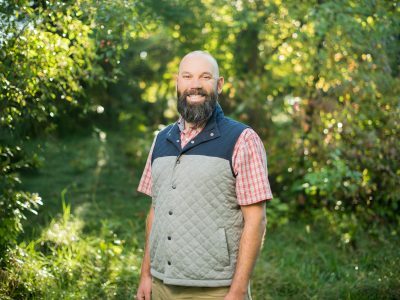 Andrew is the executive director of the West Central Mountains Economic Development Council and coordinator of the College of Western Idaho’s ApprenticeshipIdaho program. Outside of work, you can find Andrew, his wife and dog mountain biking, trail running, skiing, or fishing off the beaten path. Residents in Cascade know if they ever need help, Shauna will be one of the first ones there. She loves serving her community and joined the Midas Gold Idaho to ensure Cascade had a voice in the Stibnite Gold Project. She is the eyes and ears of the community and helps residents learn more about the project and how they can get involved. As an Idaho-native, Shauna is excited to be part of a project that transforms an area in need of repair and leaves a positive legacy for future generations. When Shauna isn’t volunteering or working as a massage therapist, you can often find her hiking, spending time in her garden or with her husband and two children. It takes a team of experts in mining, the environment and business to bring the Stibnite Gold Project to life. Our team has the right experience and passion to make this the most advanced mining and reclamation project in the country. In the 3rd grade while collecting rocks with his best friend, Ken found the skeleton of a Triceratops dinosaur. As a teenager, he helped excavate that same site with a team of experts. Today, Ken is still hanging out “with geologists, banging on rocks and making discoveries.” Bringing kids and nature together is Ken’s passion. If you’ve been to a community event in Valley County, you’ve likely seen Ken helping children learn how to pan for gold or identify rocks. From the moment Shelley stepped foot in Idaho 18 years ago, she says the state felt like home. Today, Shelley gets to help make her home a little bit better through her work as public relations manager for Midas Gold. Through her job, she gets to blend her passion for helping people and taking care of the environment by sharing the company’s plans for the future with the community. Outside of work, Shelley and her husband love teaching their three boys new sports and outdoor activities. Most weekends, you can find Shelley and Dean trying new food and wine with their closest friends and family. If Gene has any spare time you can find him out hunting, skiing, mountain biking or fishing. His love for the outdoors makes him the perfect match to help restore streams, wetlands and fisheries at the Stibnite Gold Project site. After spending much of his career in water resources consulting on mining and infrastructure projects, Gene is excited to be part of a company where doing things right is at the forefront of every decision and built into the company culture. For Hayley, few things are better than teaching the next generation of scientists and studying minerals. That is why she loves her job as the community education manager for Midas Gold. Hayley supports schools in the region by providing lesson plans to teachers and hands on learning opportunities for students. She also runs all of the community tours to the Stibnite Gold Project site and gets to show people how Midas Gold is creating an opportunity for the environment and industry to grow and prosper together. As a second-generation Idahoan it is no surprise that outside of work you can find Hayley and her fiancé Ryan camping, fishing, hunting, hiking, snowshoeing or skiing with their energetic dog Lady. Chris is an explorer. He puts those skills to use at Midas Gold as he and his team of exploration geologists search the Stibnite area for minerals deep beneath the ground to determine Stibnite Gold Project’s mining potential. When he’s not exploring, Chris can be found with his wife and two boys sailing (and often restoring) their historic wooden sail boat. 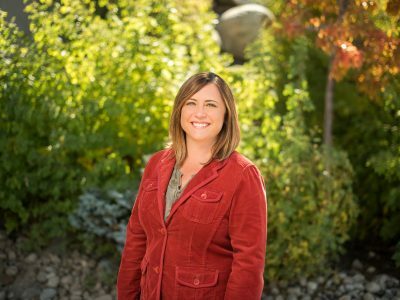 As a fourth-generation Idahoan born and raised in Donnelly, Johanna loves having mountains, rivers and lakes right outside her front door. She and her husband couldn’t imagine a better place to raise their two children. She works in accounting department and oversees purchasing in Idaho. Johanna is proud to work here because, like Midas Gold, she cares about the environment, community and local economy. Chuck keeps Midas Gold moving – literally! In the winter, he is the first person people call to clear snow covering the road and, in the summer, he makes sure the roads are in good condition for Midas Gold and recreationalists alike. Every day at work, Chuck is helping to restore the site so future generations can enjoy the fishing, hunting and hiking. Every day is different for Kyle, and the variety makes the job fun. One day, he is working with local nurseries to ensure we have the right plants for reclamation and the next he’s working with our staff at Stibnite to make sure all the work at site is being done in an environmentally conscientious manner. Growing up in Idaho, Kyle and wife Aislynne both graduated from Eagle High School. It is no secret Kyle and his family love the outdoors but what some people may not know is that he also enjoys making home-made wine. At Midas Gold we consider Sam our environmental bodyguard. A geologist by training, he monitors water quality, soil and other conditions at our Stibnite Gold Project site and makes sure we are “doing it right” to protect the environment. When Sam isn’t working, there is good chance you will find him fishing on the river, riding his motorcycle or hiking. As a geologist for Midas Gold, Eric wears many hats. One day you may find him up at site giving a tour and the next he could be in Cascade logging samples from the project. No matter what job Eric is doing, he is proud to be part of a project that provides the U.S. with important minerals while also restoring an area that is in need of repair. Eric has lived in Valley County with his wife, Colleen, and daughter, Hope, since 2011. Together, they enjoy camping, fishing and golfing. As a native Idahoan, it is no surprise that Alan loves spending time outside. You’ll find him exploring the state’s deserts and pine forests, elk hunting during bow season, dirt biking and camping in the warm months and snowmobiling during the winter. As VP of permitting for Midas Gold, Alan is thrilled to help Midas Gold restore the site and bring hundreds of new jobs into Idaho. 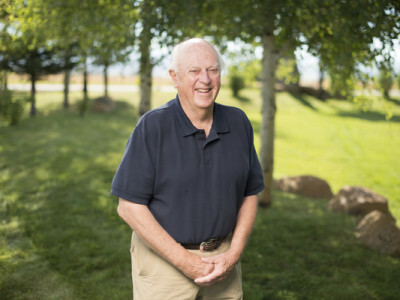 He cut his teeth as a geologist but over the course of his career he has successfully permitted, developed and managed mining projects across the world and in Idaho. Alan and his wife Leisa have been married for more than 25 years and are the proud parents of two sons. Steve has loved the outdoors for as long as he can remember. As an Idaho native, he grew up exploring Idaho’s backcountry and taking in all it had to offer. Steve wants his six grandchildren to have the same opportunities, explore the same forests and play in the same rivers he did as a child. It is this desire that makes him excited to be a field assistant for Midas Gold and part of a team that is invested in making the environment a better place. Dale kept his eye on the Stibnite Gold Project for several years before joining the Midas Gold team. As an environmental consultant and geologist, he was impressed by the company’s vision to restore the site through mining. 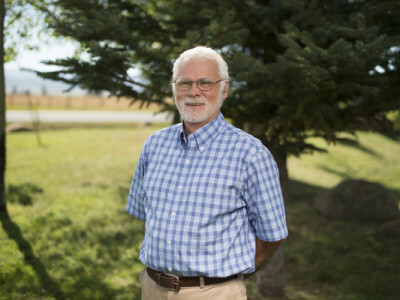 He considers his role as permitting manager at Midas Gold as a unique opportunity to be part of a project that will bring modern mining and reclamation practices to an important and historic Idaho mining district. 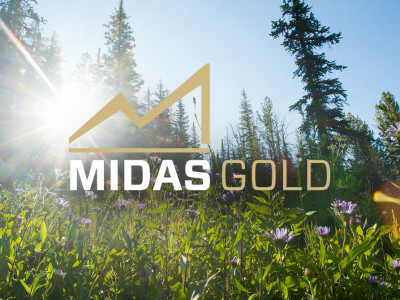 He is working with federal, state and local agencies, communities in Valley County and other organizations to obtain the numerous permits and approvals Midas Gold will need to bring the project to life. Outside of work, Dale, his wife, Katherine, and daughter, Lauren, love exploring Idaho and discovering new places to hike, camp and, of course, look at rocks. Dan brings more than 20 years of mining experience to the Midas Gold team. As restoration manager for Midas Gold, Dan views the Stibnite Gold Project as an opportunity to show how modern mining practices can restore and enhance natural environments. Dan is focused on determining how we can restore the Stibnite Gold Project site to its full potential through all phases of the project. With his desire to be a good steward of the land, it should come as no surprise that Dan and his family enjoy being in and recreating in the outdoors. When Cindy sets her sight on a goal there is no stopping her! So when she heard Midas Gold wanted to clean up the Stibnite area, she knew she had to work for the company. Cindy’s been the camp supervisor ever since. When she’s not at Stibnite, Cindy is on horseback riding with her five grandchildren or working on her Garden Valley ranch. Mckinsey is a fifth-generation Idahoan. During summer camping trips with her father, Mckinsey fell in love with Idaho’s mountains and rivers and learned how important it is for all of us to protect these natural treasures. Today, she is instilling that passion in her three young children and living it out through her work at Midas Gold as the Vice President of Public Affairs. Mckinsey helps work with lawmakers and stakeholders on the plans to restore the site. Outside of work, she and her husband are busy trying to keep up with their adventurous kids. When Ryan came to visit a college roommate in Idaho he never expected to get a job working with the Payette National Forest. But he did and that job changed everything. It led him back to school at the University of Idaho to get a degree in environmental science and later to a job doing stream reclamation at Stibnite. Ryan traveled the globe working on different mining projects. Now, he is excited to return to Idaho and get an opportunity to once again work at Stibnite, this time helping to restore the site with Midas Gold. Koda is our resident puzzle solver. He uses geologic modeling to piece together the history of the Stibnite Gold Project site and is always looking for the next bit of information to tell us more about the minerals at site. He is proud to be part of a team committed to cleaning up the region and returning it to a well-functioning, natural looking environment once mining is complete. As an Idaho native, it should be no surprise that Koda loves being outside camping, boating or just taking a walk through the woods with his wife and their two rescue dogs. Every company has a problem solver and at Midas Gold that person is John. He leads our team of engineers and scientists and makes sure we are developing a safe and environmentally sound development plan for the Stibnite Gold Project that benefits the community. After work, John enjoys skiing, biking or swimming with his wife and two daughters, or golfing with his buddies. As an environmental data analysist, and proud University of Idaho Vandal, Angie does her part to help the team at Midas Gold create a complete picture of the site. She reviews and validates data from the Stibnite Gold Project to generate interpretive summaries and reports for our team and the community. Angie loves the Idaho outdoors and seeks every opportunity to get outside to play. Her passion for the environment led her to Midas Gold. She is enthusiastic about being part of the team monitoring environmental quality at the Stibnite Gold Project because she is driven to restore and conserve Idaho’s natural resources so they can be enjoyed by generations to come. In her role overseeing investor relations, Liz helps to ensure that Midas Gold’s lines of communication with investors are open so that we have the funds necessary to restore the site and once again mine the Stibnite area. Liz uses the skills she’s gained keeping up with the fast-paced world of the investment community to help give back to the community in which she lives. Each year, she organizes a softball tournament to support the Make-a-Wish Foundation and to date has helped to raise more than a half a million dollars to make children’s wishes come true. Darren keeps a close eye on the financial health of Midas Gold. He knows every donation given to the community and keeps track of every dollar spent. As Midas Gold’s investment in Idaho grows, Darren is excited to see the impact it has on the local economy. Darren is also CFO of Midas Gold Corp. When he is not balancing budgets, Darren is usually camping, skiing or biking with his family. As an Idaho native, it is no surprise Layne loves being outside. You can often find him fishing, camping, hunting or riding motorcycles with his family. So, he considers it an added bonus to be able to work in Idaho’s beautiful backcountry. Layne is responsible for the maintenance of the Stibnite Gold Project site and works hard to ensure everything runs smoothly. With her background in environmental science and business, Tanya brings a unique set of skills to Midas Gold. Serving as Midas Gold’s Human Resource Manager and Company Secretary, this native Idahoan manages all the human resource functions for the company. Tanya enjoys spending time in Idaho’s pristine backcountry with her young family. As a fourth generation Idahoan, Jordan has been driving from Boise to the mountains in McCall his entire life. It was on these long drives, looking at Idaho’s unique landscape, that he became inspired to pursue a degree in geology. After working across the U.S., he is excited to be working on a project in his home state and helping to set the standard of modern mining in Idaho. Jordan, his wife, Jill, and their two children love being outside. You can often find them relaxing at Payette Lake, out on Idaho’s beautiful rivers, mountain biking or hitting the slopes. Belinda spent a lot of time in Valley County in her younger years and moved back to the area to raise her family. Now, she is at the forefront of Midas Gold’s involvement in the community whether that means working with youth or organizing a local festival. When she’s not working or volunteering, you will find her camping, fishing and hiking with her husband and two children, in the same areas she explored as a child. Stephen is responsible for the overall leadership and financing of Midas Gold Corp. His vision is to see the Stibnite Gold Project site redeveloped, generating jobs and economic benefits for local communities and shareholders, while funding the restoration of a site extensively impacted by a century of historical mining activity. Under his leadership, the company has assembled an outstanding team of experts that can make this vision reality. Away from work, Stephen runs the non-profit Kingsway Foundation and fund-raises for the overseas orphanage from where he and his wife adopted their two children. As an Idaho native, Melanie has grown up with a strong appreciation of the outdoors and all the activities it has to offer. When she isn’t keeping an eye on the finances at Midas Gold, you can find her running outside, spending time with her friends and family or reading a good book. As an environmental geologist, Blaine knows Midas Gold can safely and efficiently mine for gold and anatomy in the historic Stibnite Mining District and correct mistakes of the past in the process and improve the beautiful places we live, work and play. He is excited to be part of the team making this project a reality. Blaine loves working outside and playing outside, whether it’s hiking, skiing, biking, camping or climbing. While Blaine and his wife are currently busy raising their young daughter, he hopes to return to school one day and get his master’s in education so he can teach middle school science. The diversity of rivers, mountains, forests and wildlife, is the main reason Jolene loves living in Idaho. She also loves the variety of her job at Midas Gold as she is able to utilize her expertise as a paralegal and business owner and help keep the office running smoothly. When she’s not at work, Jolene enjoys gardening, trying new recipes, watercolor painting or time with her family. Dan makes sure the Stibnite Gold Project site operates without a hitch. He is always checking the equipment to make sure everything is running as it should to keep the environment and the employees safe. Away from work, Dan raises Black Angus cows and enjoys camping and fishing. Before Tracey started working for Midas Gold, she was a fan of the company. 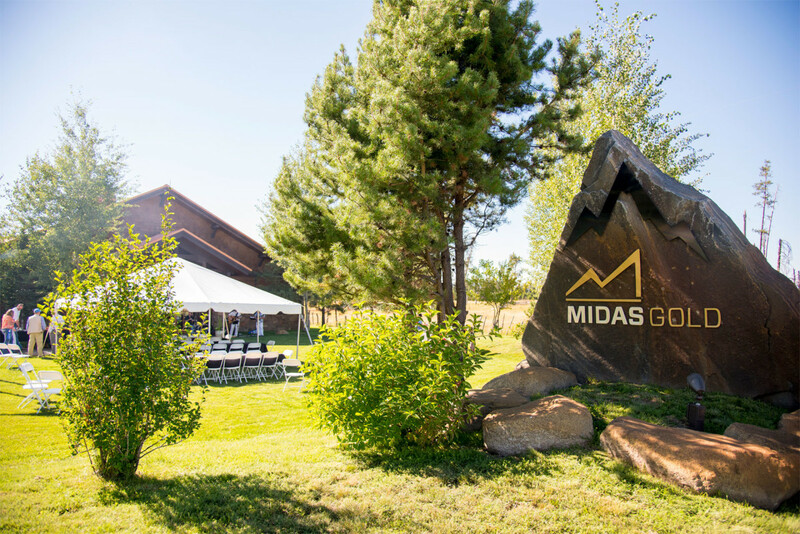 Tracey was impressed with Midas’ commitment to return the historic Stibnite Mining District to a usable state for all Idahoans to enjoy and the company’s ongoing commitment to transparency. She jumped at opportunity to work for a company who believed in taking care of the environment and its employees. Today, she helps keep the Donnelly office running smoothly and makes everyone who stops by feel immediately welcome. Outside of work, there is a good chance you will find Tracey with her beautiful Friesian horses or spending time with her family near and far. Next time you’re driving past our Donnelly office, stop by and say hi. Dave loves the outdoors so it is hard for this third generation Idahoan to imagine a better office view than the one he has at Stibnite. Dave keeps everyone safe – whether they are employees on site or recreationists in the area who need help. Every winter he also teaches avalanche safety classes to skiers and snowmobilers and is a Friends of the Payette Avalanche Center board member. If you like making lists and staying organized, you’ll find a kindred spirit in Kate. She is a master at logistics and helps manage the day-to-day details of the Vancouver office so everyone can do their jobs seamlessly. Kate puts her planning skills to good use outside of work to keep track of her busy sports schedule playing golf, softball, badminton and yoga. Austin grew up in Brooklyn, New York but has lived throughout the western U.S. studying geology, teaching, building houses and generally enjoying the scenery and recreational opportunities offered by the Rocky Mountains. Using his expertise in structural geology and statistics, he helps Midas Gold understand the natural resources available at the Stibnite Gold Project. In his free time, he enjoys backpacking to Idaho’s sparsely populated alpine lakes and hot springs. We are committed to workplace safety, environmental stewardship and supporting the community. We are committed to conducting our business transparently, honestly and with integrity.